Get off at Maihama Station on JR (Japan Railway) Keiyo Line / Musashino Line. 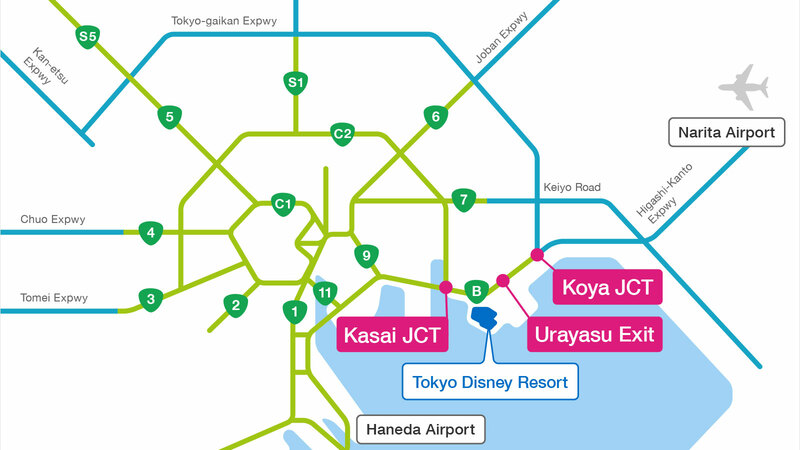 Due to heavy traffic in the parking areas and on the roads around Tokyo Disney Resort, Guests are requested to use public transportation when visiting. 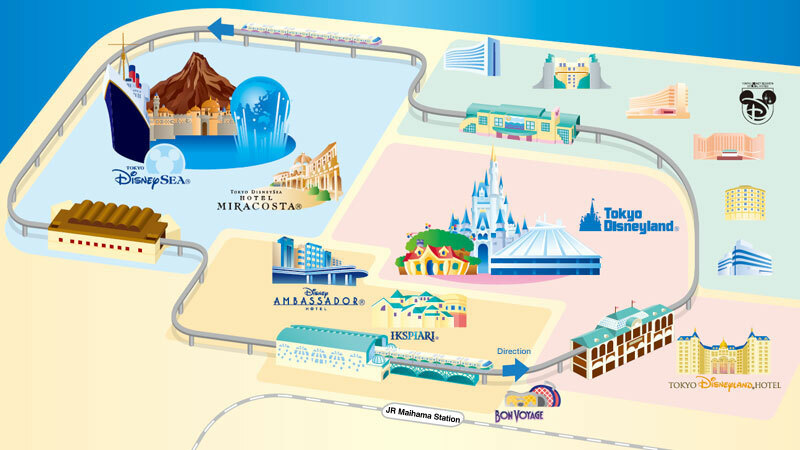 Disney Resort Line offers convenient access around the Resort. 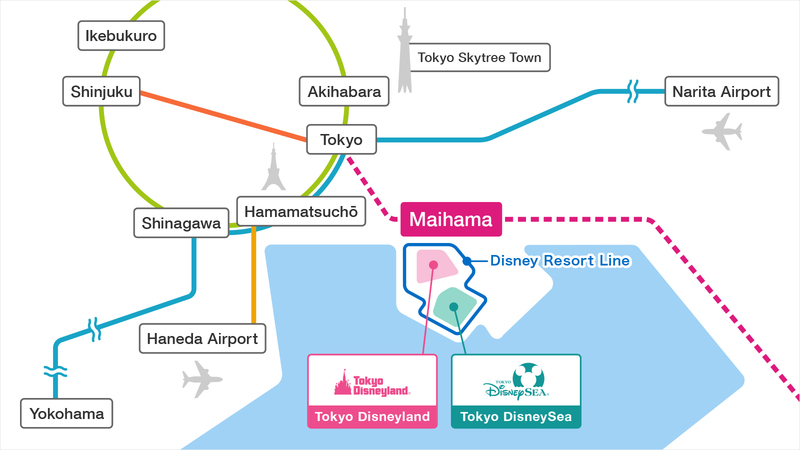 Things to Do Before Your Visit!